“Camp is such a big part of my life,” Mary Schafhauser is the assistant director of Pine Tree Camp. For her, the Bath Savings Institution Paddle for Pine Tree Camp is an opportunity to create a virtual paddle team for those who can’t come to the Paddle in person, but still want to show their support. From Camp families, to counselors, to people from every part of the world who have been touched by Pine Tree Camp, everyone is welcome to virtually join her team of Virtual Venturers. Last year was Mary’s first time experiencing the Bath Savings Institution Paddle for Pine Tree Camp. Mary’s friends and family live in every corner of the world and, through her virtual paddle team, they can join something that means so much to her. It’s also a chance for Mary to show new camp counselors and summer staff what it means to be a part of the Pine Tree Camp family. Taking a break to walk outside is a time to recharge, pause and reflect. If you’re in a wheelchair, or if walking just isn’t easy for you due to your disability, getting outside can be hard enough. Taking a walk in the woods can be impossible. Not at Pine Tree Camp. Not only are there one-and-a-half miles of fully accessible nature trails, that trail system is about to double in size, creating a loop through the tall pines and beautiful forest landscape. Campers will also get to check out vernal pools, eagle nests, blue heron, loons and even an active beaver dam. “The new section of trail will go through parts of the Tree Farm we manage,” continued Dawn. In 2016, Pine Tree Camp was recognized as Maine’s Outstanding Tree Farm of the year. What set Pine Tree Camp apart was its unique combination of balancing the long-term plan for the forest with the recreational value it provides for campers. Being able to access nature and the outdoors is truly not something many campers are able to do in their every day lives, which is what makes this extended trail system so important. For many, their week at Pine Tree Camp is the only time they can have experiences like this. Work to expand Pine Tree Camp’s nature trail system will begin this spring. You can help. Please consider a gift to support Pine Tree Camp’s nature trail expansion. You can give online at www.pinetreesociety.org or send your contribution to 149 Front St., Bath, ME 04530. It’s a big decision to send your child to overnight camp. Come learn how Pine Tree Camp could be the right fit for your family. You’ll have the chance to meet camp director, Dawn Willard-Robinson, and talk with other parents who have experienced Pine Tree Camp first hand. We’re proud to be Maine’s only American Camp Association accredited camp providing services exclusively for people with disabilities. Read more here. 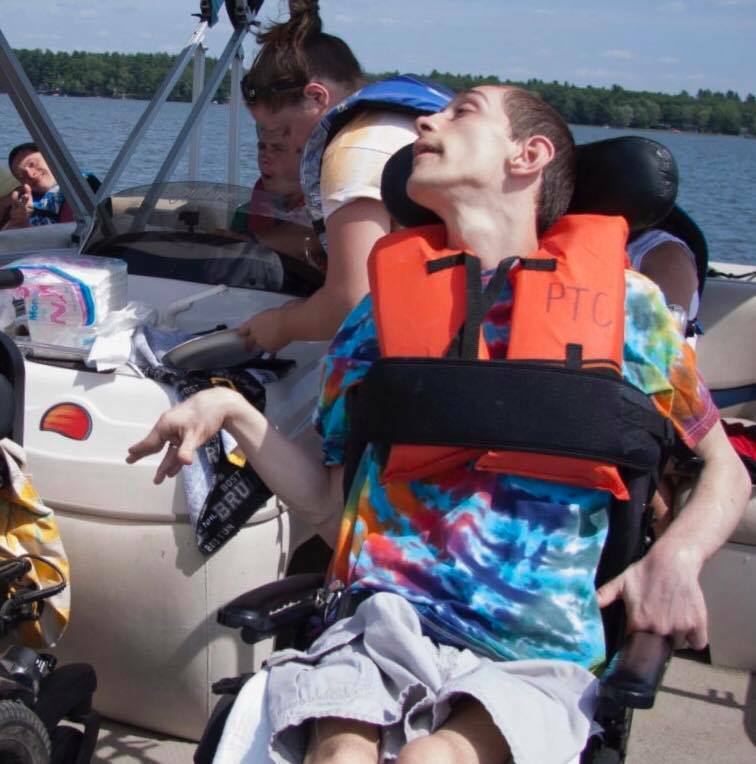 · A barrier-free environment that allows all campers – regardless of their ability level – to actively participate in fun, outdoor activities like swimming, hiking, boating and fishing. · Opportunities for campers to make lifelong friends with peers who understand the daily challenges of living with a disability. Linda Bonnar-Ivery, MA, CCC-SLP, ATP, is the director of Pine Tree Society’s Communication Pathways program. We recently caught up with her to talk about how she and her team work with non-verbal clients to help them find their voice. What is the goal of Communication Pathways? How does your team help non-verbal people learn to communicate? “We believe that everybody has potential. We don’t go in with the mindset that someone can’t do something. We go in with the philosophy that everyone has the potential to communicate and we just need to find a way to help them do that through connecting them to the tools that open up the doors for them. Do people have to travel to your offices? “Our impact spreads far and wide. Not only do we serve people at our offices in Scarborough and Bath, but, if the need is there, we travel to pretty much all areas of the state. Some people are bedridden or can’t travel because of medical fragility or other medical reasons, for example. We also work at eight different schools across southern Maine. In addition, we have the technology in place that allows us to offer remote programming to rural areas of the state. I can be in Scarborough and remotely connect to someone in far northern Maine. Who are your programs designed to help? Is there a recent success that stands out to you? It’s stories like that that keep Linda and her team motivated each and every day to help people find their potential. Pine Tree Society and Spurwink are pleased to present the 11th annual Southern Maine Autism Conference! 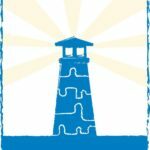 This conference draws attendees from all around the state of Maine and is designed for parents and family members of children with autism spectrum disorders, as well as their educators and other service providers. In addition to the keynote, we offer a number of breakout sessions covering a wide range of topics. Attendees will leave with practical tools and strategies that can be implemented immediately in the home, school and community. For 11 years, this conference has been a place where families from all around the state meet and form friendships and networks that last long after the conference ends. This conference is offered at no cost to attendees and is almost at full capacity with more than 500 people expected. Service providers can receive 5.25 continuing education hours by registering for $40 to receive a Letter of Attendance after the conference. Check out the full schedule at www.maineautismconference.org. On Sat., Feb. 2, spectators at Dysart’s in Hermon welcomed a parade of Q106.5 Egg Riders and snowmobilers – including some antique sleds – as they concluded the 25-mile trip from the Hungry Hollow ‘76ers Clubhouse in Levant. WABI-TV 5’s Emily Tadlock and Pine Tree Camp director Dawn Willard-Robinson were among this year’s celebrity riders. Dysart’s has sponsored the Ride-in for more than 20 years. This year, for the very first time they hosted the benefit lunch. The riders continued the fundraising tradition of the Q106.5 Egg Ride by stuffing raw eggs down their snowmobile suits before hopping on their sleds. Scott Miller and Cindy Campbell host the Q106.5 Morning Show and the Egg Ride is a major focus for them every January. Each egg represents a $50 pledge from their listeners to help send Maine children with disabilities to Pine Tree Camp. “The kids are the beneficiaries and our listeners drive the train and we are on board to help make it happen,” Miller remarked. 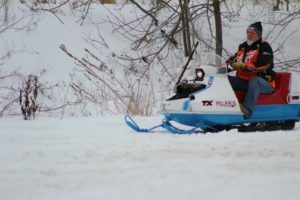 New additions to this year’s Ride-in included a vintage sled show at the Penobscot Snowmobile Club in Hermon and silent auction at the annual benefit breakfast at the Hungry Hollow clubhouse in Levant. Members of the Penobscot, Levant, and Carmel snowmobile clubs planned months in advance for ways they could raise funds for Pine Tree Camp and their support was absolutely sled-tacular! 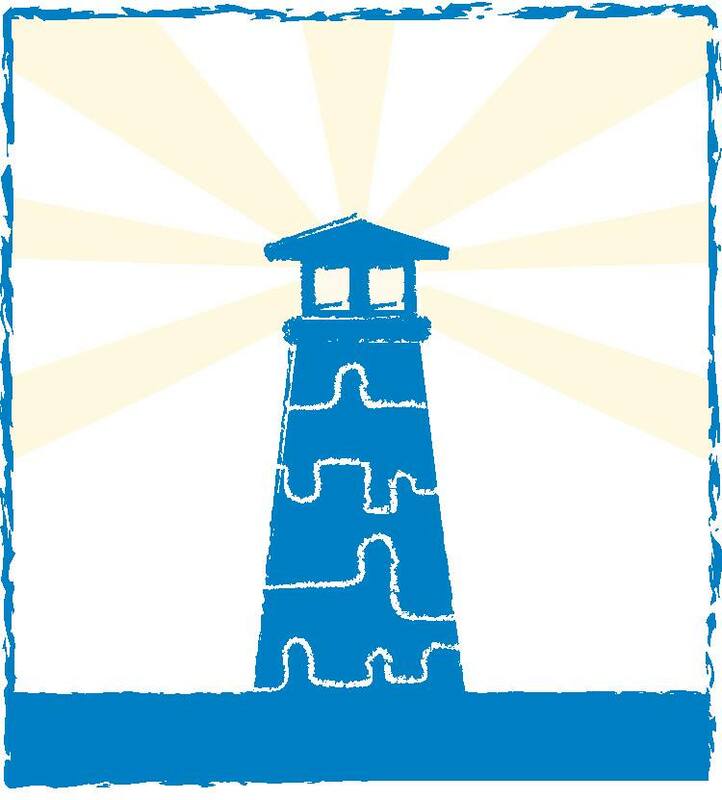 Pine Tree Society and Spurwink are pleased to present the 11th annual Southern Maine Autism Conference on March 16, 2019 at the DoubleTree by Hilton in South Portland! The conference is designed for parents and family members of children with autism spectrum disorders, as well as their educators and other service providers. Learn more about the event by visiting www.maineautismconference.org. Amy Simpson has been participating in the Dysart’s Snowmobile Ride-in to benefit Pine Tree Camp for over 15 years. Her son Bradley will be there this year, riding along in a special enclosed vehicle. For Amy and her whole family, it’s a feel good day and one that they look forward to all year. Bradley has attended Pine Tree Camp for over 15 years and they got involved with the Ride-in after the first year he went to camp. For Amy, the Ride-in is also about community and giving back. You won’t want to miss this. 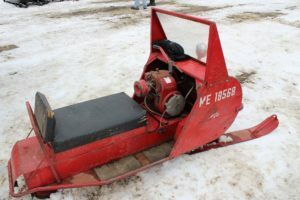 The Penobscot Snowmobile Club will be ho sting a new event during the 2019 annual Dysart’s Snowmobile Ride-In to benefit Pine Tree Camp: an Antique Sled Show! The show will be from 10 AM to 2 PM at the Penobscot Snowmobile Club in Hermon, where you can expect to see a variety of antique snowmobiles, with the vehicles ranging from the 1920s to the 1970s. The Carmel Snowmobile club will be helping during the event, selling doughboys to benefit Pine Tree Camp. The Penobscot Snowmobile Club will also be selling various refreshments. A silent auction starting in Levant at the Hungry Hollow 76ers Snowmobile Club will be moved to this location following their community breakfast. Learn more about the silent auction here. The Q106.5 Celebrity Egg Riders will make a pitstop at the event during their messy ride, where several antique sleds will join them in the final ride to Dysart’s in Hermon for a benefit luncheon, with proceeds going to Pine Tree Camp. For questions related to Ride-In events, please contact Stevie Bonnevie by email at sbonnevie@pinetreesociety.org or call 207-386-5915.